It’s done! For those who haven’t read the last post, “Beats2 Prototypes” is pretty much a series of demos/prototypes designed for the purpose of quantitatively comparing different user interfaces for large touch-screen devices – in this case, 7″ or larger Android tablets (you can still run it on your Android phone, but that’s not the target of the study). It’s also my senior design research project (i.e. 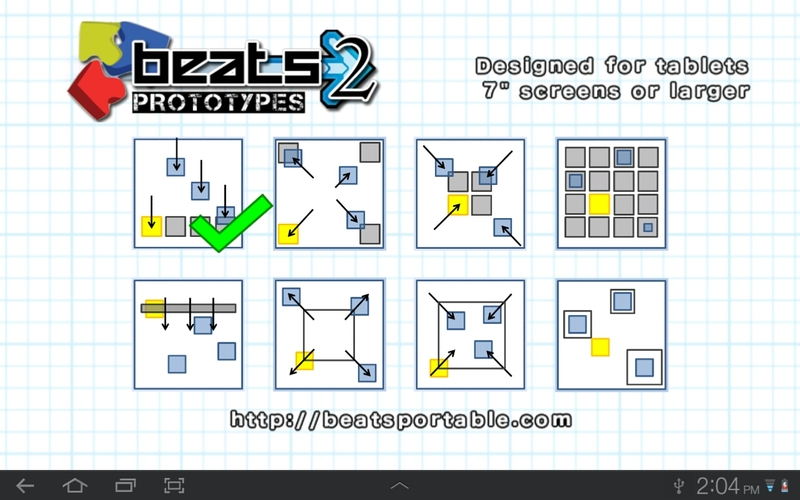 not a polished final product) and an important precursor to Beats2, which will target BOTH small touch-screens (i.e. Android phones, iPhones, etc.) AND large touch-screens (i.e. Android tablets, iPads, Windows 8 slates, etc.). NOTE: This is designed to be run on wide-screen TABLETS (i.e. 7″ across or larger) – the interface may not be easily to use on smaller screens such as phones. 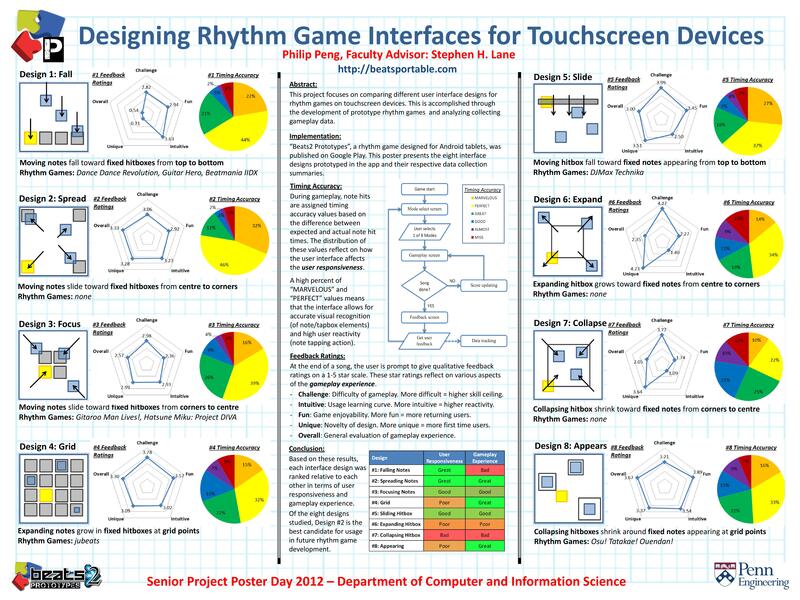 This is a demo app created as part of an academic research project focus on developing various touch-based user interfaces for rhythm games. This app features numerous prototype interface designs with the intention of being tested by users and compared in their effectiveness. This app collects usage data that will be used in the future for designing better touch-based UIs for rhythm games, specifically Beats2. Please try to test out all the different game “modes” and submit feedback via the built-in tracker. Keep in mind that these demos are only prototypes made for testing purposes and are not final products (hence the lack of fancy graphics and only one test song). 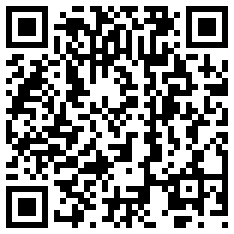 Data from it will be used for developing Beats2, so please try it out and submit feedback! This entry was posted by Keripo on 2012/04/17 at 3:42 pm, and is filed under Releases. Follow any responses to this post through RSS 2.0.Both comments and pings are currently closed.